At our very first ultrasound we were given the great news we were expecting mono/di (identical) twins. During a routine ultrasound at 25 weeks, we were told the twins both had cardiac rhabdomyomas and a possible diagnosis of tuberous sclerosis. At 28 weeks pregnant after fetal echos, ultrasounds and meeting with a geneticist she recommended we transfer to the USA and have an abortion as we were given the absolute worst case scenario of TSC. I immediately said no…these boys were moving, growing, and thriving inside and we knew we would take our twins however God chose to give them to us. I was put on bed rest due to high blood pressure and stress. At 31 weeks I was flown to Edmonton, Alberta Canada from our home in Grande Prairie, Alberta and at 32 weeks on September 23, 2012 I delivered our identical twin boys via emergency c-section. Layton Dale was born at 10:58 pm and at 10:59 PM Landon Walter arrived. After seeing them briefly they were whisked away to the NICU for evaluation. They were doing well and holding their own. 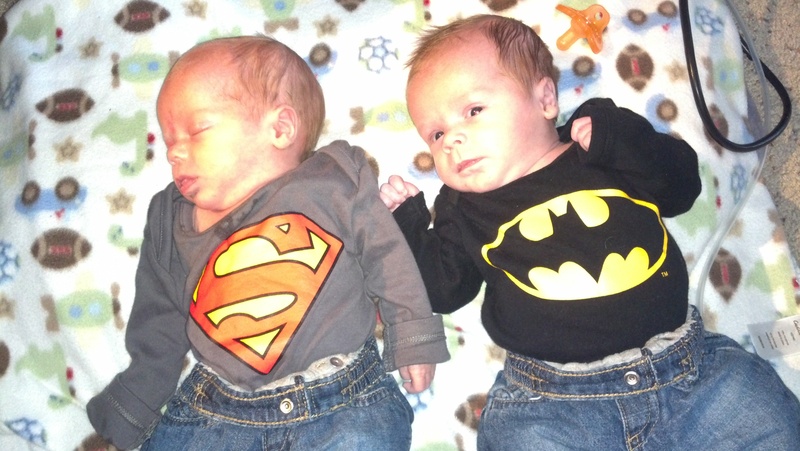 Layton spent 35 days in the NICU AND Landon 41 days. Life at home was an adjustment, but we managed until we had a follow-up cardiology appointment around 6 months of age and were told their hearts were still strong and the cardiac rhabdomyomas were not affecting their heart function. We began to breathe a little easier. 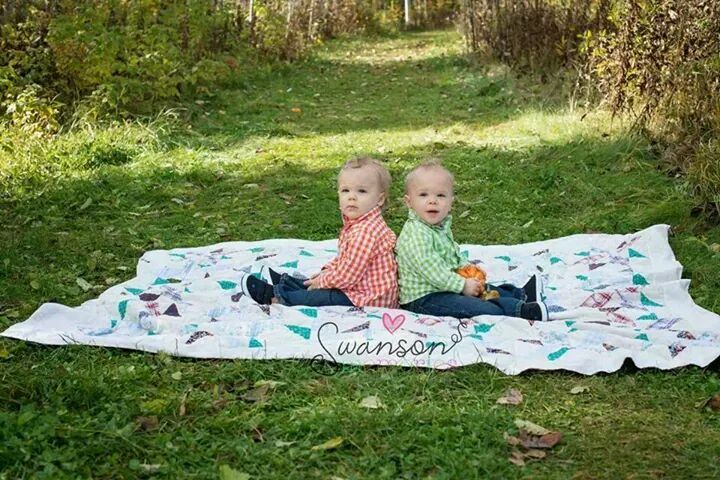 The cardiologist believed the twins were in the 30th percentile that did not actually have TSC. So life went on! We lived, we thrived! We lost my dad to cancer in March of 2014, twelve days after I married my husband. Then two months later we lost my husband’s grandma. It was an emotional rollercoaster. As things finally started to somewhat normalize, we had a follow-up with the twins’ neurologist who wanted to book them an MRI but believed they were in the clear. We left Edmonton happier than we had been in months only to have our world crash down around us ten days later. We were camping and Landon woke up from his nap having what we assumed were seizures. We knew right away…we hadn’t escaped TSC. We called 911 and we were life flighted to Edmonton. Watching my son cluster seize for 45 minutes at a time changes a person. After ten days in the hospital, CT scan, kidney ultrasound, opthomolgist, and MRI we were told by doctors tuberous sclerosis. We knew…it wasn’t a surprise, but at the same time it was a shock. We asked so many questions, we cried so many tears, we were worried about Layton. 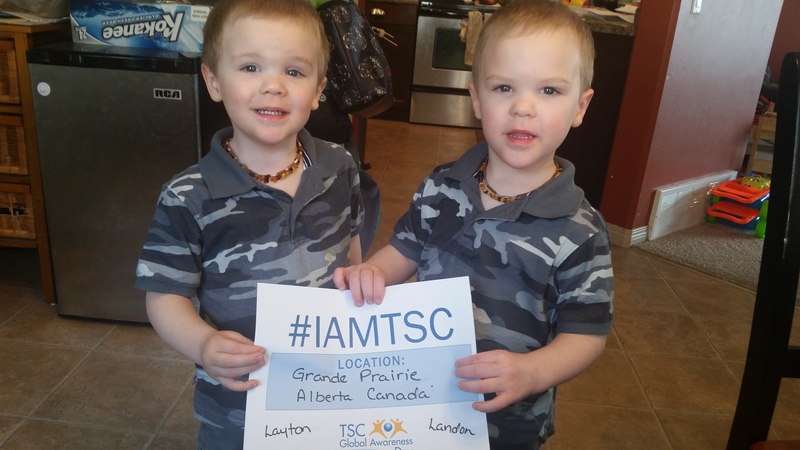 Genetics met with us to do blood work to see the test to identify the gene mutation in the twins…spontaneous TSC1 is their official diagnosis. We were discharged not having the seizures under control, but once we had control we went almost five months seizure free. Then the seizures started coming back, but they were different. 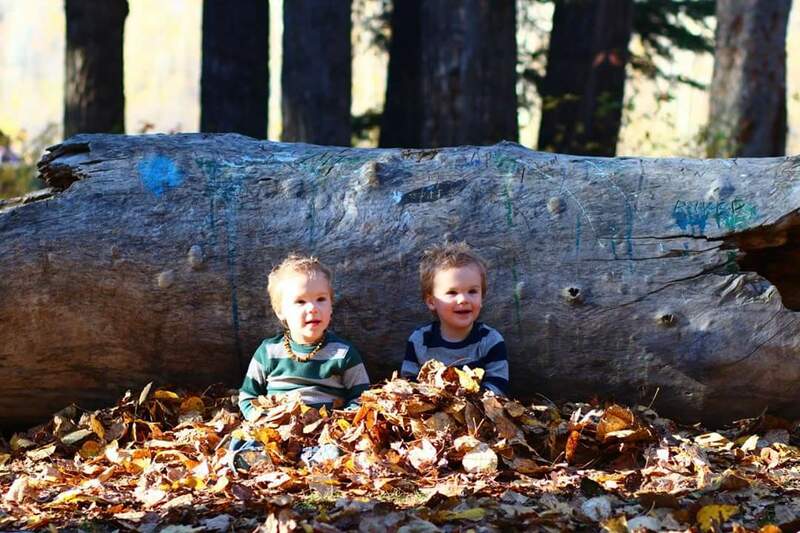 At first I doubted what I was seeing, until I looked into my precious little boys’ eyes and knew. We added another med and have seen great success. We are almost six months seizure free. Landon is progressing well all things considered. He has heart and brain involvement and some ash leaf spots. Layton has been cleared of any cardiac rhabdomyomas and has some ash leaf spots. We have lots of appointments we have to travel for. We have no idea what tomorrow will bring. I am slowly starting to let the twins out of my safety bubble. And I am slowly starting to become somewhat human again. Having to grieve the loss of my dad, my husband’s grandma and my healthy children has taken a huge toll on me…all I want is to be the best I can be for my boys. We always pray for a mild case of TSC but know it is all in God’s hands. Honestly, some days it all feels like a bad dream. I wish I had the cure. I have met some amazing moms through the TS Mommies group on Facebook, and although we are miles apart, these woman have become my friends, my family and my go-to people! I treasure you all.